Paper Window Envelope are the most convenient way to mail invoices, bills, statements and business mailings. 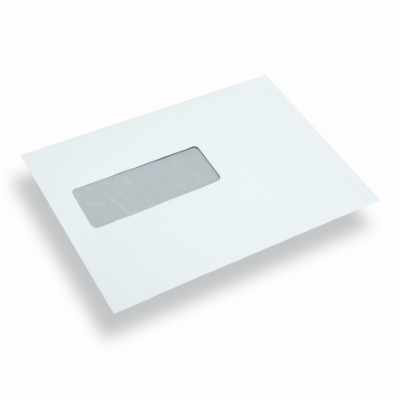 Envelopes with a windows feature an opening on the front of the envelope which allows addresses or selected contents to show through for easy mailing. Available in a variety of sizes, colors and window styles. Established in the year of 2003, Sagar Sales is the leading manufacturer, wholesaler and trader of Paper Envelope, Kraft Envelope, Self Seal Envelope and Cloth Envelope. Our clients represent broad spectrum of industries like telecom agencies, advertising agencies and insurance, medical ,educational ,corporate institutions ,publications,presses,government agencies, Stationers.